There was a point within my playthrough of Horizon 3's career where I took a moment to reflect on how far we’ve come in the very limited genre of the open-world, festival-based arcade-simulation racer. 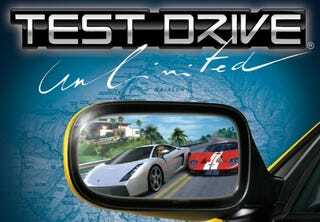 I tried to remember the first, and the earliest example I could think of was 2006's Test Drive Unlimited. I had very fond memories of the game as far as I could remember, even though I was limited to the PlayStation 2 version, which was different from the expanded Xbox 360 and PC version. Still, I wanted to get my hands on a copy, and I was lucky enough to find a 360 version at my local Gamestop for 10 bucks. I didn’t hesitate. Captures taken with cellphone for maximum quality. I’ll explain why in a bit. So, all in all the game is just how I remembered it: a large, open-world racer with tons of playability, and that is at least tenfold on the 360 version. The environment in question, Oahu, Hawaii, feels large and open, in fact I’d probably have to say that this is one of the most accurate game maps that I can think of, it doesn’t feel shrunken like The Crew or oddly proportioned, like Horizon 3. Everything from Honolulu to the North Shore is modeled with pristine accuracy. The car list included with the game is very thorough. While most games of this type (Forza not included) focus mainly on performance cars, etc., TDU has this feeling of being aimed at those who just want to cruise. You have cars you wouldn’t find in a normal game, Lexus LS’s, Audi A6's, the Chevrolet SSR, just to name a few. I love all of it, and that’s not even the best part. When was the last time you saw a Farboud GTS in a game? TDU 2 doesn’t count. Bikes are also included, which is something I’ve wanted in a Forza game for a long time. Outside of Grand Theft Auto and a few one-off games purely about bikes, I don’t feel like they’re represented well enough in the world of racing games...I’d really like that to change. But my favorite car-related part of this game is how you buy your cars. Most of the cars in game are all purchased at their respected dealership, which are littered across the map. You go there, you find the car, and do you just select the color and drive out? No...you select what stock wheels you want and what interior you want too, and these options are all priced like they are irl. For instance, the Maserati GranSport I bought in game is normally $107,000. However I opted for the dark grey wheels, pearl white paint, and blue/cream interior, which bumped it to about $110,000. It adds a sense of urgency to how you save up and buy your car, you can either spec it out to the way you want, money being no object, or you can buy it with a budget in mind. One of my favorite little details, in-car navigation screens actually display an active map, not just a black screen. Cops, while heavily entertaining, are also highly annoying...they don’t give up once you get to a certain bounty, resulting in tickets like this. So, TDU 1 was a pretty ahead of its time game, and with that came some new-wave features, like online integration. This was fantastic in 2006, but since then, the servers have unfortunately shut down. This means a few things, unfortunately. 1. Online races are no longer available. There are tons of these littered on the map, and it’s kind of disappointing to see them there. Tons of unplayable races that could make the game a lot more fruitful, just hanging in limbo. 2. Photos are no longer uploadable to the “storefront.” Hence the phone snapshots. 3. DLC is no longer available. This is the biggest gripe for me, as I’ve seen some of the cars available through DLC which I never got back in the day because PS2, and can’t get now because they’re not available. Those everyday cars like the Lexus’s, they were all DLC, and now I can’t drive things like the SC430 and LS600hL. Woe is me. The embarrassing and disheartening notification you get every single time you load the game.